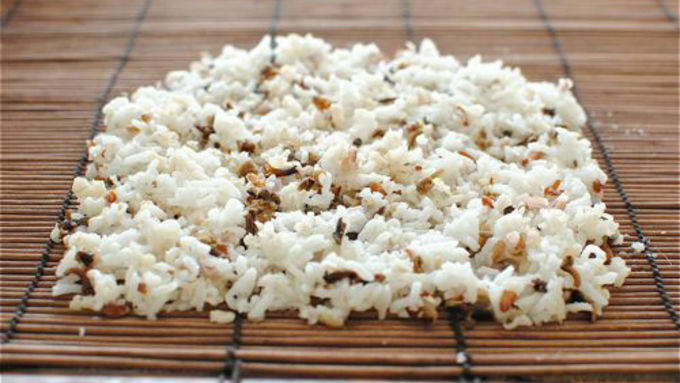 For the sushi: Spread a layer of rice on top of a bamboo place mat. 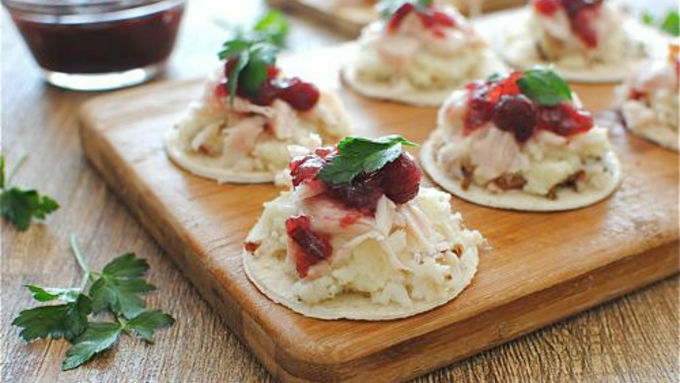 Follow with a layer of mashed potatoes, turkey, cranberry sauce, and fresh parsley. 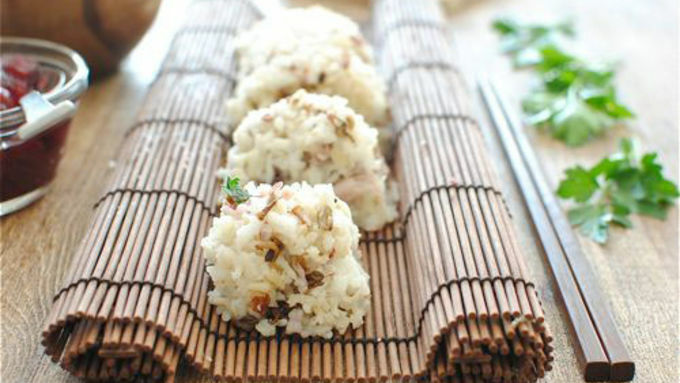 Using the place mat as a guide, roll up the leftovers until it forms a sushi roll and slice. 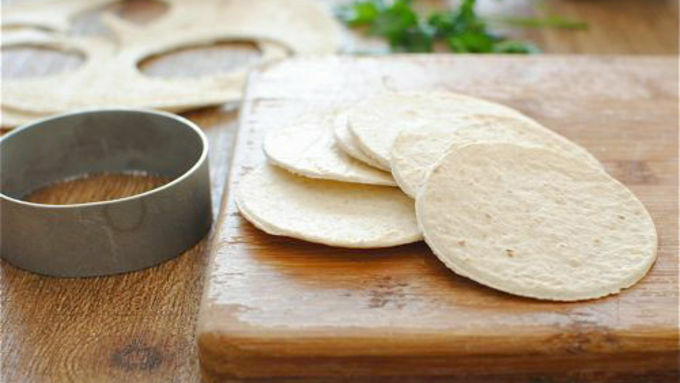 For the crostini: Using a cookie cutter, cut circles out of the tortillas. Toast them up a little. Do the same layering as you did with the sushi. Serve. Now, now. Before you glance at the title of this recipe, just hear me out. Everything is cooked. In fact, all of the ingredients are pulled from the majestic meal known as THANKSGIVING DINNER. You do know you have options in life when it comes to leftovers, right? You have the "spoon it out, plop it down, nuke it up, shove it in" approach. Or you have me to offer you new and tasty options when it comes to leftover land! Let's make some sushi and crostini, shall we? 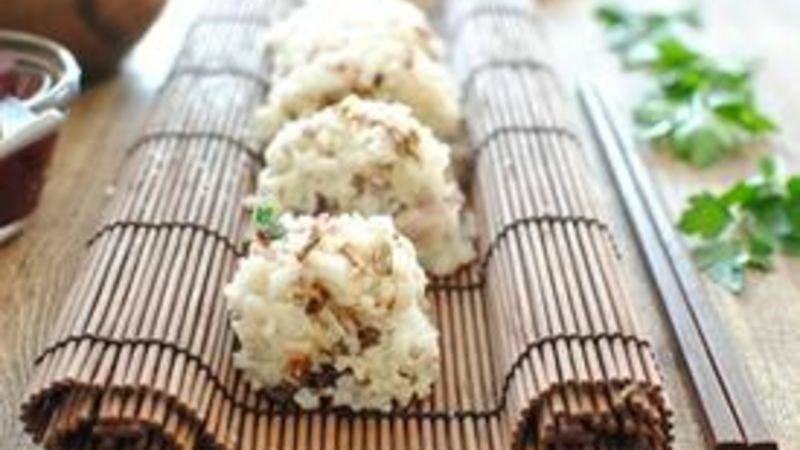 Now, you can really use whatever leftovers you have to make this sushi. If sushi ain't ya thang, let's go with crostini! So there you have it! 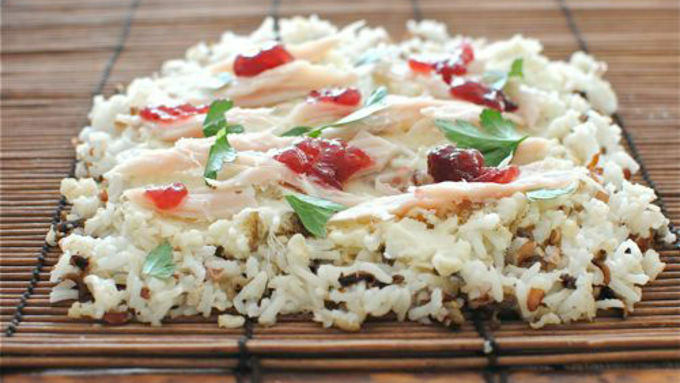 Two new ways to fancy up your leftovers.